Statin Side Effects Got You Down but Your Numbers are Still Up? You Can Get BETTER Cholesterol, Blood Pressure and Blood Sugar Numbers — Without Relying on Drugs! 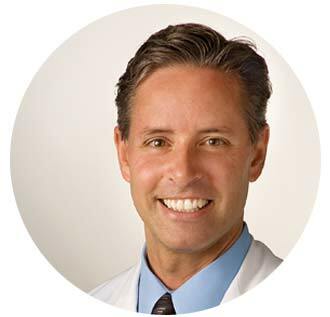 Hi, I’m Dr. Michael Cutler, and I’ve been a practicing physician for more than 20 years. I know you’ve already heard the advice on changing your lifestyle habits. And it’s certainly true that a healthy diet, plenty of exercise, more sleep and less stress will bring your numbers down. But these changes aren’t always easy — and they don’t always work. The B vitamin endorsed by the National Cholesterol Lowering Program that can reduce total cholesterol by up to 25 percent! Ayurvedic medicine’s answer to taking LDL down 27 percent and reducing triglycerides 30 percent! The spice that shrinks the amount of cholesterol oxidized in your arteries (where it can block blood flow)! The five best kinds of food for heart health and five must-have supplements! Natural tips everyone with type 2 diabetes or prediabetes should know! And the best thing about Mother Nature’s Tips, Tricks and Remedies for Cholesterol, Blood Pressure & Blood Sugar is that it’s FREE! No tricks here — just good advice that I feel everyone should have! Get your FREE report and start lowering all of them today! You’ll also receive a FREE subscription to the Easy Health Digest™ Email newsletter. Each issue is chock-full of information to help you get healthier and live better. And it’s really easy to opt out of receiving it if you change your mind later. Of course, the free report is yours to keep, no matter what! We respect your privacy. We promise to diligently guard your information — and will NEVER rent, sell or give your e‐mail address away to anyone. Plus, you can opt‐out of Easy Health Digest™ at any time.